"Hello. I have a student who designed a mascot for his robotic team; however, it is too large. Unfortunately after grouping the objects used, it says "scaling locked and cannot be resized". Is there a way to unlock the scaling?" The object can be locked in scale if it contains a real world scale component. There is a workaround to the locked scale. You can make a "Part" out of the object, such as your robot. Once an object is a Part, its sub groups are flattened and it becomes available as an efficient shape in the Shapes Panel under the "Part Collection" category. 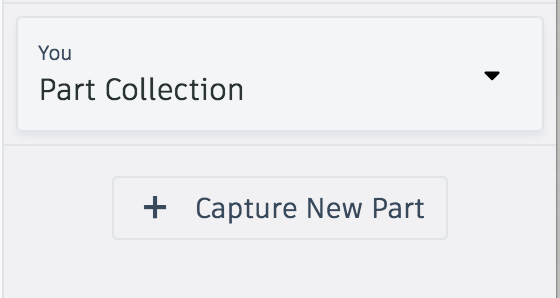 To create a Part, you can select the object, such as your robot, then click "Capture New Part".